The latest figures from the National Fire Protection Agency reveal that of the more than 1.16 million firefighters across the U.S. in 2015, 70 percent—814,850, to be exact—were volunteers. Many of these volunteers work in rural communities where budgets cannot meet the need for emergency services, and when budgets are stretched past thin, some of them need to cover their own costs, including training. This has caused many states and localities to consider a variety of incentives, including tax breaks. For instance, the borough council of Morton, Pennsylvania, has elected to reward its volunteer emergency first responders with a 20 percent property tax break, a measure which is expected to be replicated in Rutledge, which shares Morton’s emergency department. The tax credit program was enacted after 2016’s State Act 172 laid the groundwork for such local ordinances. Only around $5000 of tax revenue is expected to be lost, which is minimal next to the costs of paying staff, which are estimated $6 billion across the state ($140 billion across the nation). The next step in getting the tax incentive program up and running begins at council’s November meeting when the program criteria will be established by council through a resolution. The annual criteria that must be met to qualify for credits under the program is based on the number of emergency response calls to which a volunteer responds, the level of training and participation in formal training and drills for a volunteer, and the total amount of time expended by a volunteer on administrative and other support services such as fundraising and providing facility or equipment maintenance. “I think this is a great opportunity, to not only reward our current volunteers, but as a recruitment tool for future members,” said Morton-Rutledge Fire Chief Dean Kemp, who is also borough fire marshal. Springdale Borough is preparing to adopt the same policy, as are O’Hara and Anne Arundel Counties. State law allows municipalities to (1) provide property tax relief to emergency services personnel and (2) enroll firefighters and volunteer ambulance service members in their group health insurance plans, under specified conditions. 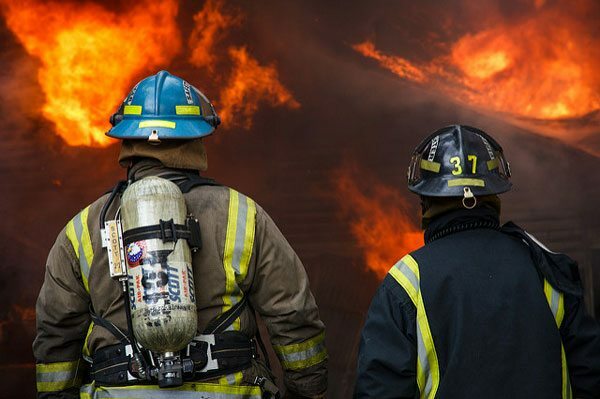 It (1) requires the state’s public colleges to waive tuition for dependent children of volunteer firefighters who die in the line of duty; (2) prohibits employers from discharging, or discriminating against, volunteer firefighters or emergency services personnel who are late for, or absent from, work because they were responding to emergency calls; and (3) gives workers’ compensation coverage to volunteer firefighters and volunteer ambulance service personnel injured while engaged in fire or emergency services duties.